As a partner at Finley & Lauber LLC, Ms. Finley focuses her practice on family law issues, generally handling cases that include divorce, child custody, child support, mediation and paternity. Ms. Finley serves clients in Cass, Clay, Jackson and Platte counties. Before entering into private practice and immediately after obtaining her law degree from the University of Missouri, Kansas City, Ms. Finley provided clerkship services to the Jackson County Family Court Commissioners. 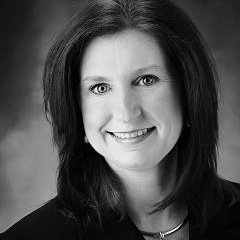 Ms. Finley was the co-founder and partner of a successful family law firm in Eastern Jackson County prior to expanding and forming Finley & Lauber LLC. Additionally, Ms. Finley is a skilled mediator who has mediated several hundreds of cases and assisted many parents and families in dispute resolution services. She is frequently appointed as a Guardian ad Litem in contested child custody cases where allegations of abuse and neglect have been made.